Are you Cirencester's New Town Crier? Cirencester is searching for a Town Crier. 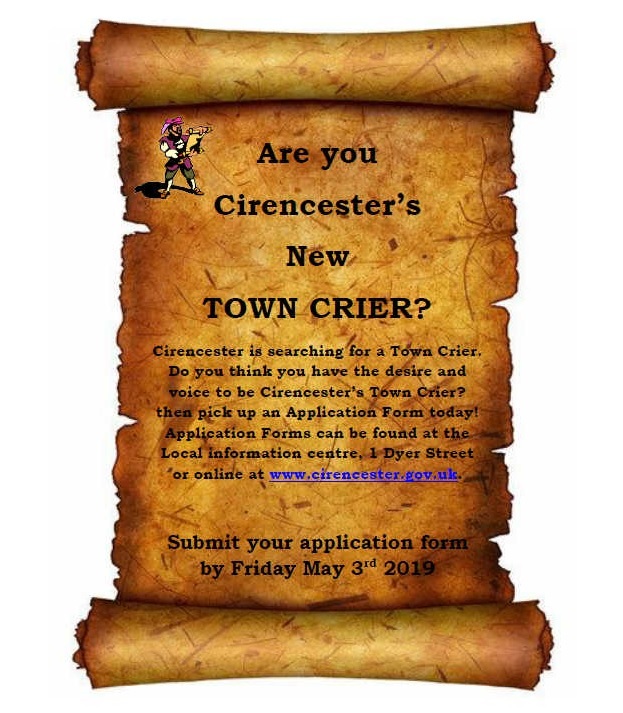 Do you think you have the desire and voice to be Cirencester’s Town Crier? then pick up an Application Form today! Application Forms can be found at the Local Information Centre, 1 Dyer Street or online here.